You are on a road trip. It is late at night. You are tired. You still have 2 hours until you get to the hotel where you are staying. While driving on a back road, in what feels like the middle of nowhere, there comes that dreaded pop and bang sound and you realize that your tire is flat. No problem you think, "I will just call AAA to come fix the tire"
There are a couple problems that could happen. Depending on where you are, you might not have GPS signal to tell the dispatcher where you are. It could be a few hours wait. If you have kids in the car, they could be bored and that can get frustrated. If you still have a long way to go and you are already tired, it can become a safety issue. If you know how to change the tire yourself, you can be back on the road in no time. Changing a tire seems daunting for some people but it actually pretty easy. Once you have tried it a few times, you will be able to change a tire anywhere you are, even on a dark road. 1) Put on your emergency blinkers. Put a block behind the tires. That will keep the car from accidentally rolling. Avoid hills and traffic whenever possible. 2) Get the car's jack and spare tire out. They are usually located in the truck, but check the owner's manual to see where it is located. For example, mine is located on the under carriage of the car. 3) Check the owner's manual. This will tell you where the jack should be placed. If the jack is not in the right place, it can cause damage when you start to lift the car. 4) Raise the car slightly. It should be just enough that the car is supported but not lifted. 5) Remove the hub cap and loosen the lug nuts that hold the tire in place. Use the wrench that came with the car or one that is the right size for your lug nuts. May jacks have a handle that doubles as the wrench. 6) Once you have loosened the lug nuts, raise the car using the jack. The car's tire should be off the ground. Finish removing the lug nuts by hand. Then remove the tire. 7) Put the spare tire on the car. Put the lug nuts back in place and tighten them as much as possible with your fingers. Work in a star pattern, tightening each one slightly until they are all tightened. 8) Lower the car down without having the car completely on the ground. Tighten the lug nuts with the wrench, tightening each one in the star pattern until they are all tightened. 9) Lower the car back to the ground fully. 10) Final steps: Once the car is back on the car and you have stored the old tire and tools, you can be on your way. You can finish the rest of your road trip. Just be sure to get a new tire to replace you spare. 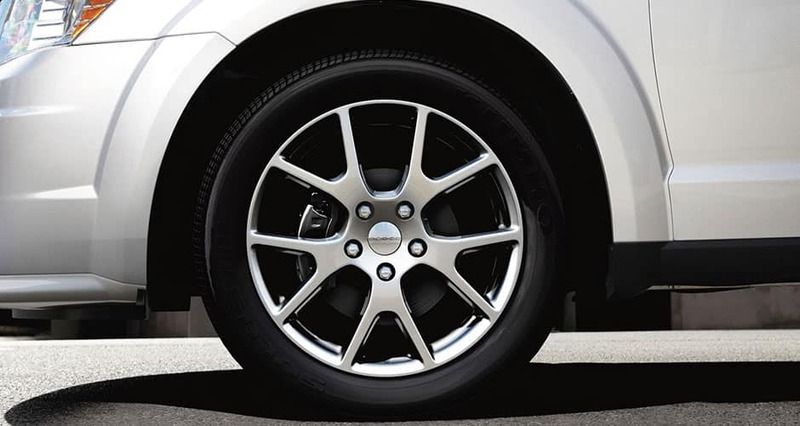 If the spare is a donut, get a tire first thing the next day, or take your tire to see if it can repaired. Donut spare tires are not meant for driving high speeds or for long distances.